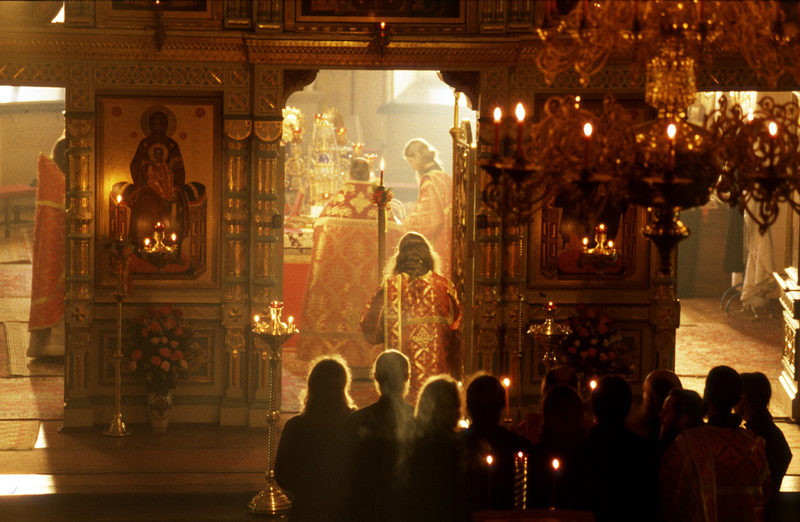 Valaam monastery is located north of St. Petersburg on an island on Lake Ladoga. I was invited to live with the monks and photograph their lives in this remote place that is a destination for many pilgrims of the Orthodox faith. Father Seraphim has lived alone for over five years on Nikitsky Island, far from the main monastery. Pilgrims are allowed to visit him only on special holy days. Aerial view of the Valaam monastery while under renovation. Andrey and Alexei take a rowboat to the farm that provides food for the monastery. Both intend to become monks and await the blessing of the abbot. View of the closing ceremonies of the all-night Easter service. 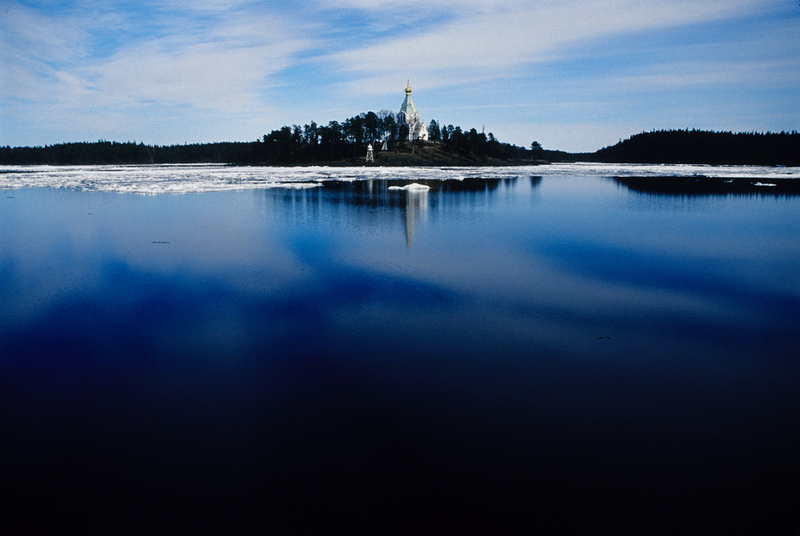 Nikolsky Island, part of the Valaam Monastery located on an island on Lake Ladoga in Northern Russia. Monks awaiting the arrival of a helicopter from St. Petersburg, carrying supplies for the remote island monastery. Father Boris testing the thickness of the ice on Lake Ladoga before driving from the island to the mainland to pick up supplies. Monks walking in a procession around the monastery cathedral during the religious holiday of Apostles Peter and Paul. 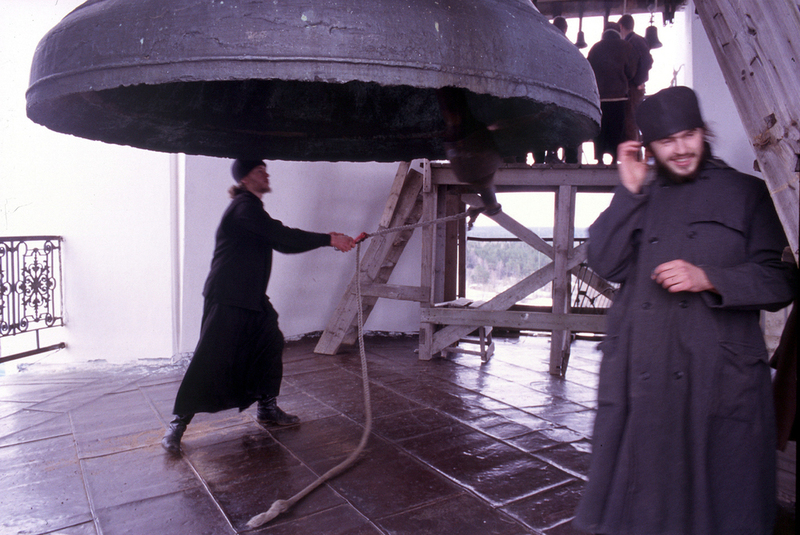 Monks ringing the monastery's bell to mark the end of the Easter service lasting from midnight to 8am. Morning sunlight illuminates the face of this pilgrim near the end of the all-night Easter service held at the monastery's cathedral. Monks gathering for the annual group portrait outside the cathedral.